How many times, as the leader of your Bible study group, has someone introduced you as "their teacher"? I have had this happen on more than one occasion. While it is a great honor to be thought of in this way you need to keep the perspective of this devotional; you are not their teacher. It was a Thursday night. I had worked hard all day, and then planned to visit a funeral home to offer comfort to a couple in my group who had lost a loved one. I struggled with whether I should make the visit because, you see, the funeral home was 80 miles away from home, and I had never met the couple face-to-face. I had been teaching the class for a relatively short time, and the couple had never attended. Alas, I decided to make the trip. My wife had researched using the internet and had given me great directions to the funeral home (before the days of maps on your phone), and she had also given me a picture of the couple I was to visit. When I arrived at the funeral home, there were multiple funeral visitations going on, so I made sure I was visiting the correct family, signed the register, and walked into the parlor to meet a sea of people I did not know and with whom I had nothing in common. I quickly spotted the couple I was to visit, walked over to them, and introduced myself. After a brief puzzled look, their faces brightened and they welcomed me warmly and began introducing me to family and friends as "their teacher." This brief visit, that had nothing to do with teaching, transformed this couple into two of our most faithful group members. They were in class the following Sunday; they became involved and took on leadership roles and attended faithfully for many years afterward. Honestly, being viewed as "their teacher" made me feel special and important, but the reality is, we are all on this journey of learning together, and it is Jesus who is the Teacher. That is the reminder Jesus gave to His disciples after discussing the customs and attitudes of the Pharisees in Matthew 23:8. That couple and I were on level playing ground. I was not better, more superior, nor more elevated in position than they were. We were brothers, on a journey, learning together from the Master Teacher. 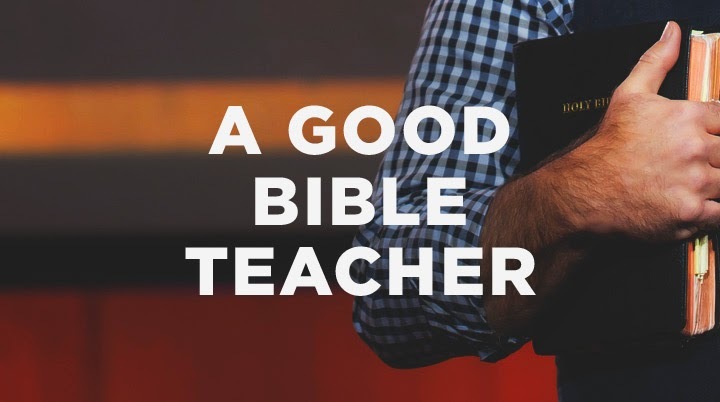 While there is nothing wrong with being called teacher, we would do well to be humbled by the fact that, nothing that is learned or changed in a person's life is due to our skill or talent, but only because of the work of Holy Spirit's transforming power. Jesus, I pray that we will all remember, while we may be called "teachers" that it is you who teaches and changes lives. May we not be eager to seek a distinction that might portray some sort of spiritual superiority. We are all brothers on a journey, learning together, how to be more like You.